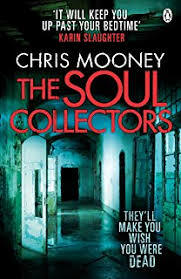 This is the fourth book in the Darby McCormick series by Chris Mooney. Ten years ago Darby worked on an abduction case where a young boy was abducted and never found. Now ten years later he is back and has taken his family hostage, he is asking to speak to Darby an Darby only. What happened to him in those ten years and why is he back now? This book is just as good as the previous three books in the series. This series is shaping up to be one of the best series I have read this year or in fact in a long time. This book keeps me constantly wanting to come back for more. A quote on the front cover of the book says "Will keep you up past your bedtime" truer words have never been spoken, this book kept me up well into the early hours as I just couldn't put it down, I yet again found myself saying one more chapter over and over till I finally finished the book. I love reading how Darby's carer evolves and devolves and how her relationship with Coop grows throughout the books, I find myself desperate to know if they finally get together and if Darby will finally get the happy ending she deserves. The cases Darby works are always really interesting and the book, in general, is very interesting, well written and keeps you captivated from the very first page right to the last page, it keeps you desperate to continue onto the next book to find out what happens next.